Kinetic Jewelry: Handmade, rustic pieces. 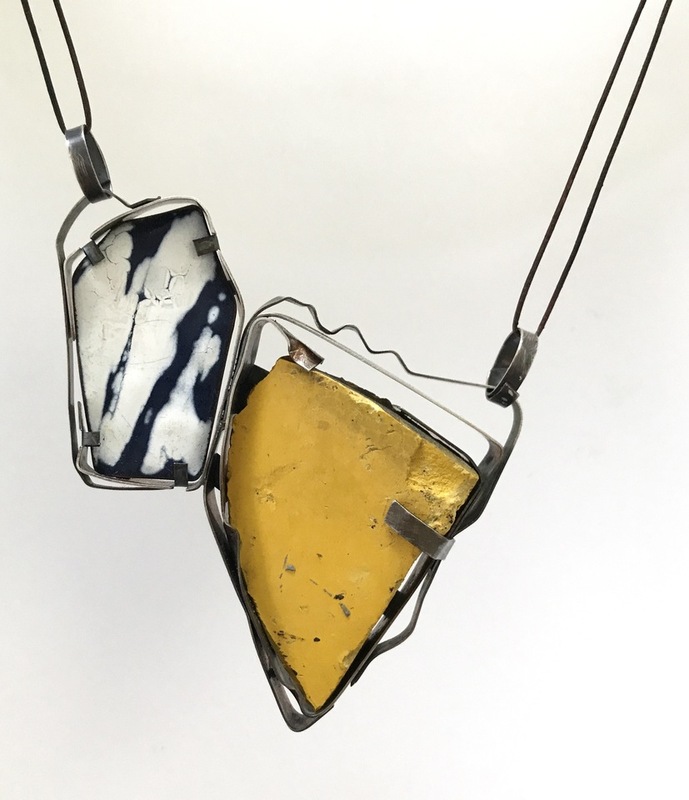 Vitreous enamel, sterling silver, glass and found objects. Designed to move and change shape with the wearer.